That place looks amazing!!!! Love your pictures and your style! 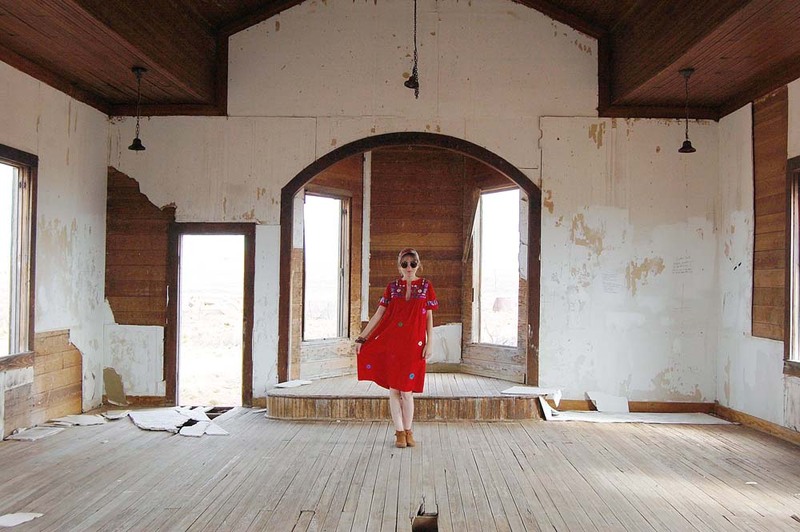 On our way back to Texas from Los Angeles, we stopped by Taiban, New Mexico- a mostly abandoned ghost town west of Fort Sumner. 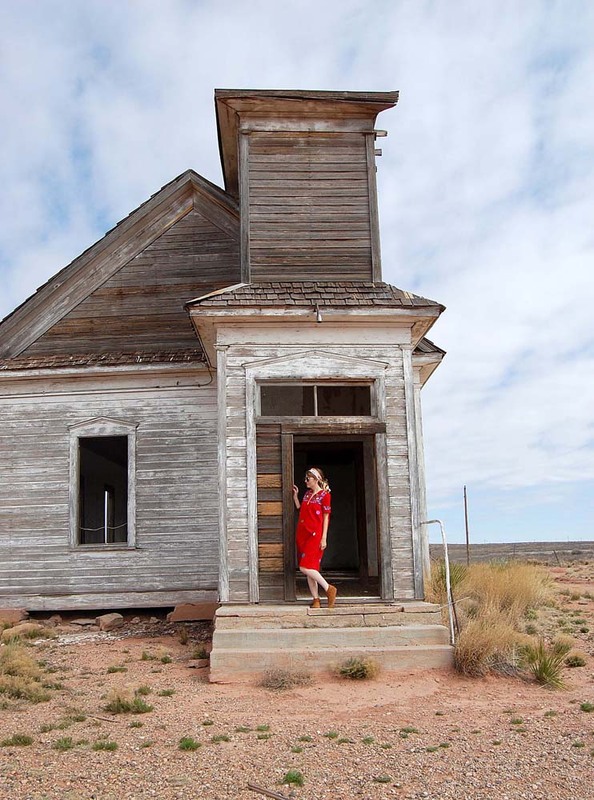 Before our trip, I had heard about an abandoned church in Taiban that is well-known to be a photographer’s haven. So I -being obsessed with old abandoned places- immediately Googled it and, to my delight, found out that it was somewhat on our route back. While in LA, I stopped by Honeywood Vintage in Highland Park, as I found out about them through Instagram (where else). The shop is quite bohemian and offers the wardrobe essentials I’d want if I were to do a quick weekend desert getaway. 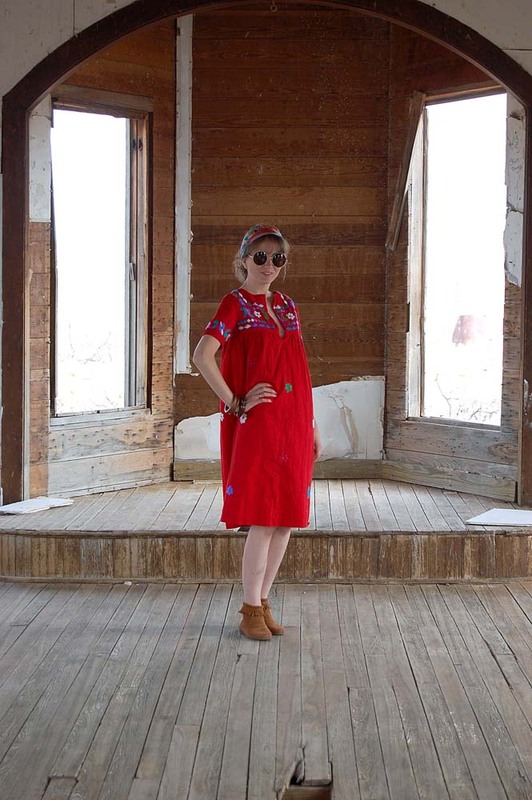 Although I wanted practically every caftan, tribal/ethnic embroidered and print whatever, in the store; buttttt due to the budget, I settled on a vintage red ethnic embroidered dress and moccasins, knowing that I would be doing an impromptu Southwest-inspired photo shoot at the church. Finding vintage shoes in my size is such a rarity, so I was BEYOND thrilled that the vintage moccasins fit. They’ve since become a cozy staple in my everyday wardrobe. So ladies and gents, I highly recommend Honeywood Vintage if you ever pass through Highland Park. The unincorporated town of Taiban is also famous for being the location where Billy the Kid (and associates) were captured in 1880. 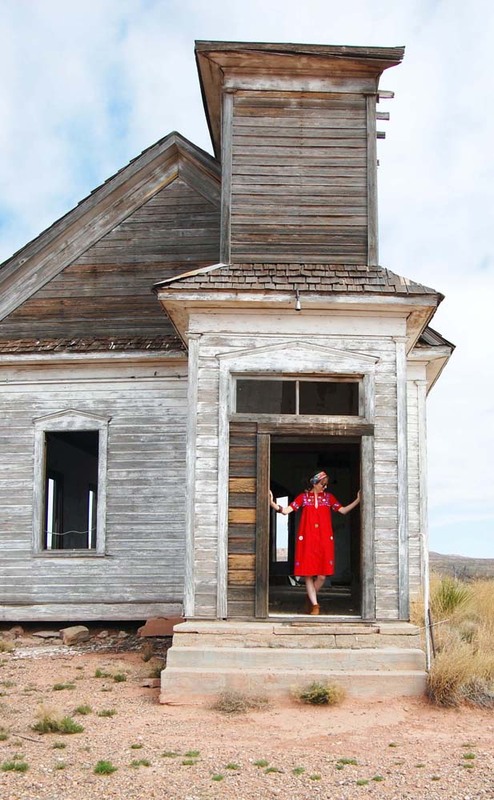 When we arrived at the lonely church, it was literally everything I thought it would be, and more. It is known as the Taiban Presbyterian Church and was built in 1908. It seems to be withstanding well against the elements and…time. I was able to explore all around the outside of the building and carefully ventured inside the small, bare sanctuary. I could have spent all day just sitting there. It was peaceful and just something about cool, abandoned places just gives me goosebumps. If you ever venture out that way and love photography- DO IT! I love the first photo that shows off the church & desert landscape. I hope Honeywood Vintage likes it too! What an adventure seeker you are! 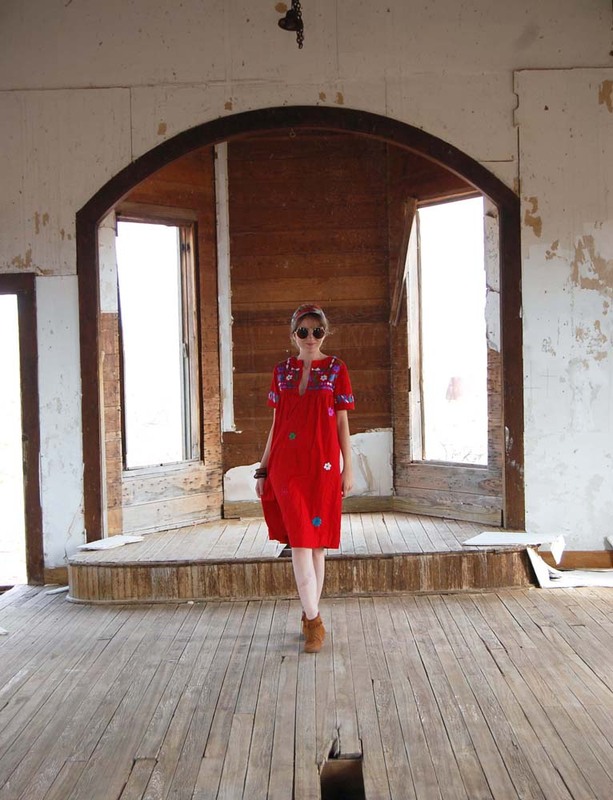 Love your colorful outfit in this abandoned church. This is so pretty, what a cool place to stop at and your dress is the cutest! 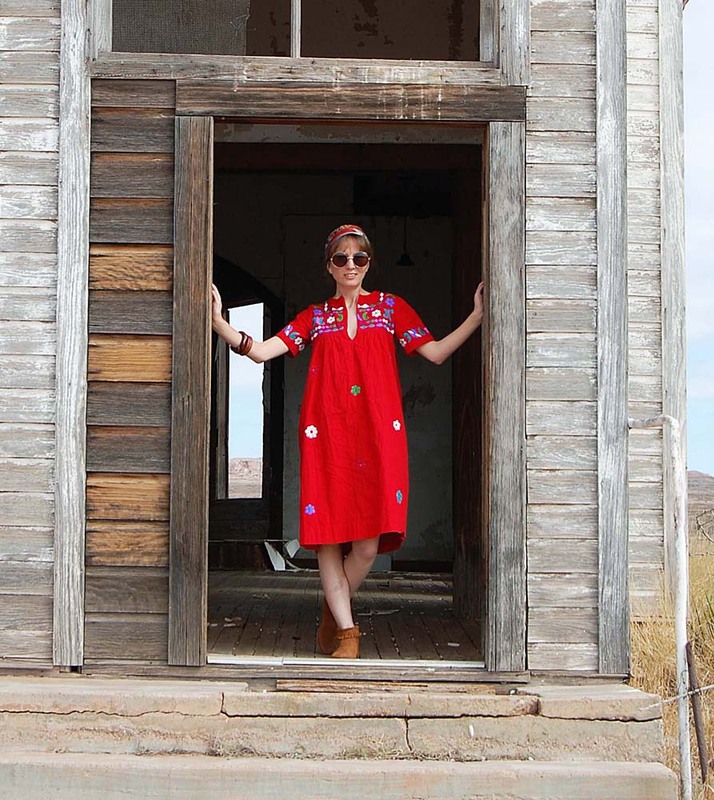 What a perfect outfit for a New Mexico town! 🙂 Love places with history like that! I’m loving everything bohemian right now, I love this outfit!! And that church is a perfect find!! Definitely some awesome pictures! What a beautiful place, Heather!! I love finding places of old beauty like this!